3. 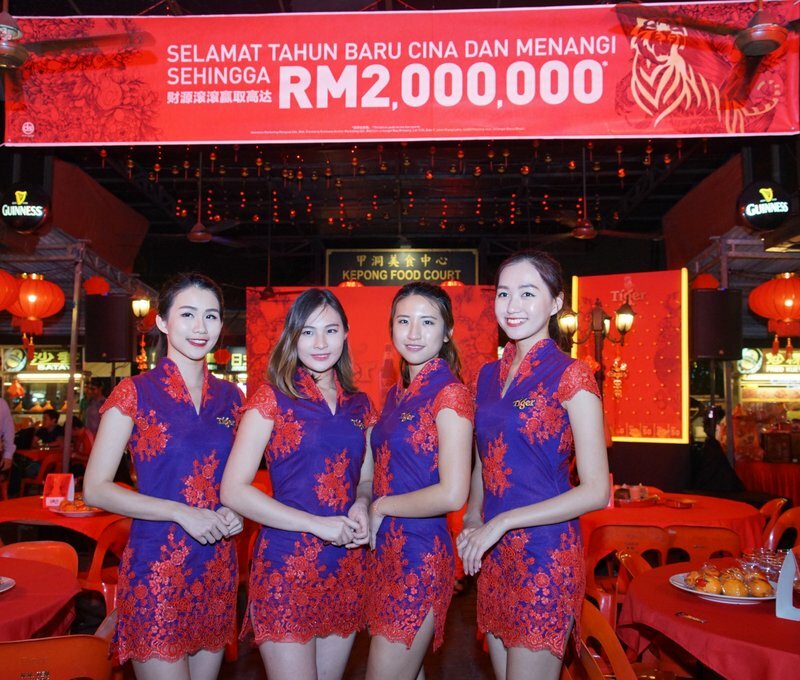 Brand Ambassadors at Tiger Beer’s “Abundance of Prosperity” consumer event held at Kepong Food Court. With Chinese New Year just around the corner, the festive celebration spirit was high during Tiger Beer’s “Abundance of Prosperity” consumer event held at Kepong Food Court, where consumers gathered with families and friends to celebrate a year of hard work while looking forward to a better year ahead. The exciting buzz from the laughter and chatter of the crowd, and the regular breakouts of loud ‘yum-seng’ toast, were further amplified by the energetic Lion Dance, the appearance of God of Prosperity, games and live music performances presented to consumers by Tiger Beer. 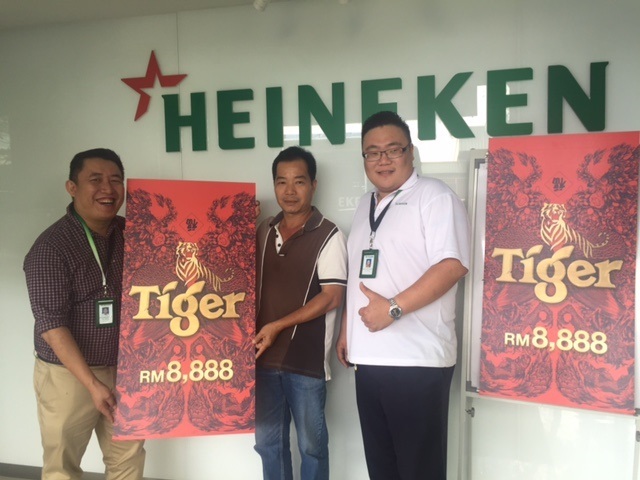 Winner from Gelugor Tan Peng Chong flanked by with Regional Sales Manager Heineken Malaysia Kenny Khoo and Senior Sales Representative Heineken Malaysia Garry Wong.